Most people don’t like to be lost. They don’t like feeling out of the loop, or like they’ve missed something. Most of all, they don’t like feeling vulnerable in a strange place. I understand this — I’m the same way. If I’m driving a car and lose my way, I get frustrated. I snap at my passengers, get nervous, and often say a lot of bad words. I don’t like being lost. But, the more I’ve traveled, the more I’ve come to realize that, sometimes, getting lost is okay. In fact, getting lost can often be better than finding your way on the first try. Yes, I’m here to argue that getting lost can actually enhance your travels. Finding yourself lost in a foreign country or strange city can be scary at first. But, instead of looking at it as a potentially devastating situation, try looking at it as an opportunity to hone skills that are important to every traveler. Get out a map, and learn how to read it. Get over your pig-headedness and ask someone for directions. Look at being lost as an opportunity to test your problem-solving skills. You’ll not only figure out how to get back on the right track, but doing so on your own will leave you feeling like you accomplished something. Going through this a few times will leave you more prepared in the future. Well, it might not be totally positive, but at least you’ll learn how you and those you’re traveling with handle stressful situations. Getting loss stresses most people out, and everyone reacts just a little bit differently. While fighting about that wrong turn you took or those bad directions you followed certainly isn’t immediately helpful in getting yourself out of the situation, looking back on the reactions later could be. Many people say you should live with a significant other before you marry them. I say you should travel with them. Tough travel situations usually bring out the “true colors” in everyone. Being lost doesn’t automatically mean things must come to a halt. If you’re on foot and find yourself lost, take a stroll around the nearby area and see what you might find. If you’re lost in a car, perhaps just follow the road and see where it takes you. As long as you’re not on a strict schedule, getting lost can often lead to discovering places or things that you might have totally missed otherwise. After all, they can’t put EVERYTHING in the guide book. View being lost as an opportunity, and not as a setback. Maybe that wrong turn will lead you on an unexpected adventure. It never hurts to explore. I don’t know about you, but when I return from traveling, it’s often the stories of mishap and chance that I find myself retelling the most. Sure, people will listen to me talk about my day at the beach. But the day that I got separated from a tour group and climbed to the top of St. Peter’s on accident? Or that time I mistakenly ended up in a weird techno dance club in Beijing? Yeah, those stories do much better. While being lost may not seem very entertaining at the time, generally these situations make for much richer, more interesting stories in the future. Plus, people like it when you can laugh at your own blunders. Many people approach travel with the assumption that everything will go according to plan — that schedules will be adhered to and timeframes will be met. If you’re one of these people, you are kidding yourself. Travel is unpredictable. Places and people are constantly changing. And, when you’re traveling, chances are that things WILL go wrong. Travel plans — like rules — were made to be broken. 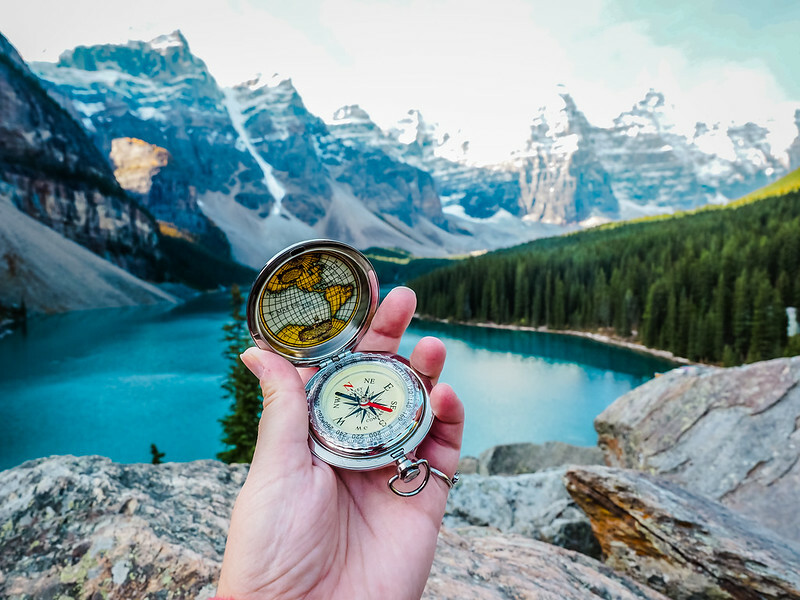 Accepting that you may get lost along the way will help you to accept that travel isn’t always perfect, and doesn’t always go the way you want it to, or the way you expected it to. Embracing the benefits of getting lost can help you learn to relax, go with the flow, and enjoy the experience. So, next time you find yourself lost, don’t curse your luck or lash out at those you’re traveling with. Instead, take advantage of the situation and your blissful ignorance when it comes to your map coordinates. My caveat: Of course, some situations aren't conducive to getting lost. I definitely wouldn't suggest getting lost on purpose if it's going to put you in danger. And I certainly don't want to make light of truly scary situations in which you might find yourself lost and alone. Get lost. But be safe. What do you think? Can getting lost actually enhance the travel experience? Do you have any great “lost” stories? I was on the Bolaven Plateau in rural southern Laos, on a motorbike, the only foreigner on the road, and I lost my map. Still have no idea how it happened. For a few hours, I was terrified out of my mind. Well, it turns out I was heading in the right direction all along and I made it to Tat Lo. Really scary, though. Getting lost is a LOT of fun — but there are better places to do it than alone on an oft-malfunctioning motorbike in the middle of southern Laos! Yikes, that would be scary! I’m glad you weren’t actually lost! I realize there are plenty of situations where getting lost actually ISN’T a good thing – like when it could potentially put you in danger. But, even then, it’s certainly an adventure. While I certainly wouldn’t encourage people to seek out live gang fights in BA, I can definitely imagine it being a story you vividly remember and share often! I’m glad you’ve had some good “lost” experiences, too. Getting lost is a great way to discover those off-the-beaten-path locations that you otherwise would probably totally miss. I was the same way when I moved to Wellington! Within the first week, a friend and I decided to just start walking and see where we ended up. It was a fantastic way to get to know the city a bit better. I only think I’m lost if I I can’t find a place I need to get to, and I have to be there by a certain time. Other than than I’m not lost, I’m just exploring. I actually love getting lost. I used to ride my bike as a kid and get lost in town. Later when I could drive I’d go to the next town or into the city and get lost. I was told before going to Venice the best thing to do is to get lost, just wander around and see where you get to. It was good advice. I only get upset about being lost if I’m under time constraints, too. Then, it’s very frustrating. But in other instances, I try to enjoy it. I love the idea of getting lost in your hometown, or a nearby city! And you’re now the second one in favor of getting lost in Venice. There must be something to that advice! While I am pretty excellent at reading a map and asking for directions if needed (I am woman!!) two places I loved getting lost in are Venice, Italy (a must do in getting lost!) and anywhere in New Zealand. In both those places, everything always works out:-). Third person to suggest getting lost in Venice! Awesome. And I agree about New Zealand – I would actually encourage getting lost ANYWHERE in that country! There’s so much to see. Awesome post, Jeremy! I really couldn’t have said it better myself. I like calling it “wandering.” Makes it sound so much more romantic – and less scary – that way. And I’m glad I’m not the only one who sometimes enjoys doing this! I’ve never been to any of the cities you mentioned, but I imagine they’d all be great for just getting lost in. I’m usually good with getting lost unless it’s pouring rain or I don’t feel safe. Love how you’ve broken out the reasons WHY it’s fun to get lost here. Always the best way to get a feel for a city for me. Thanks, Andrea! I know getting lost isn’t ALWAYS a positive experience. But I decided to try and highlight the good things anyway, because, like you said, it’s often the best way to get a feel for a new city! And I think you can learn a lot from being lost, and then getting yourself un-lost. I too am a big advocate of getting lost when travelling. You find all sorts of hidden gems, and you have no idea what you are going to come across, so it all feels new and exciting. Another nod for this being the best way to get around Venice – the main streets are so clogged that getting lost is the best way to see the place! Sounds like I need to go get lost in Venice! But, in all seriousness, I think getting lost in big, old cities is a great idea. There’s so much to see, that you’d completely miss a lot of the good parts if you actually knew where you were going. I love the feeling of walking around a corner, not knowing what I’m going to find! Sounds like a lot of fun, but I definitely don’t want to get lost at night on some place I’m not familiar with 🙂 On the flipside, I want to be lost in Spain – awesome place! Thanks for the advice, very useful! I definitely don’t want to encourage anyone to intentionally get lost in a place that would make them scared! That’s never fun. Be safe! But I’m glad you liked the post and found it useful. Thanks for reading! It’s strange, but the more unpleasant an experience is at the time, the better it becomes as a memory. All my best travel tales are of experiences that were ghastly at the time. Times when I was scared, lost, lost my money (and passport) or injured. But those are the stories that you will later dine out on. Funny how it happens that way, isn’t it? Some of my most embarrassing travel moments have now turned into some of my best stories! Some of my best experiences have happened when my hubby and I got lost. Among many others, we through out all our plans in Venice and got lost every single day – I am sure it was a much better trip than if we had stuck to our itinerary! Based on all the comments on this post, it seems like Venice is the ideal place to get lost in order to really discover the city! I wonder if all the Venice guidebook writers are aware that their information is pretty much unnecessary? Haha. I’ll add another vote to being lost in Venice. There are all kinds of nooks and crannies. I was there in the middle of Carnevale and still found some great little side places with noone around. It was neat. And with the water everywhere the sounds of the waves echo in cool (and spooky) ways around the alleys and through the fog. Wandering is my absolute favor part of travel. Give me a place to explore and wander and I am happy. I think that is why I like bigger cities better than small towns. More room to roam. You are all making me long to go to Venice and just get lost! I really enjoy wandering, too. It’s not always an option if you’re short on time, but I love just hitting city streets on foot to see where I end up. I don’t do it nearly enough! I don’t like to legitimately be lost, but I do like to wander around without maps or directions. Great point about traveling with someone before you marry them! Being free of maps and any real plans is exciting! And, after watching many, many seasons of “The Amazing Race” where couples completely fall apart arguing with each other, I’ve decided I won’t marry anyone until we’ve done some serious traveling together! It’s great you were able to stay calm while lost in Chicago! Not everyone would be able to consider it an adventure at the time. But at least you had an awesome “first day in the US” story to tell! Loooooove getting lost when traveling, you ALWAYS stumble across something spectacular that way! “Many people say you should live with a significant other before you marry them. I say you should travel with them.” I couldn’t agree with this more! It’s SO important to travel with someone before you marry them. Hey Andi! Thanks for reading! Glad to hear of someone else who’s stumbled across good things while being lost. And I love how travelers agree with my “travel with them before you marry them” comment! I love getting lost! I like to go from the hostel or host where I’m staying and try to walk to a point a ways away- maybe 20 minutes to an hour away by foot. I let myself ask people if I’m going in the right direction and I try to not look at my map. I usually end up stumbling across something I wouldn’t have sought out and I notice a lot more since my nose isn’t stuck in a map or guidebook. Once I get there, I let myself take the public transportation back unless there is something I really wanted to see. It makes it cheaper (paying only for one transport ticket instead of two) and sometimes you don’t notice just how close you are to some sites until you walk! Rome is big, but the ‘touristic center’ isn’t THAT big. So, just walk it! Around every corner is an amazing plaza or a phenomenal street and you might just stumble into the best, most authentic gelateria that is tourist-free and all yours! I love your point about getting to see more when your nose isn’t stuck in a map or guidebook! So true. And I love walking it in cities, too. For me, it helps me get myself oriented. And I’ll always pick fresh air over a stuffy bus or train! Hmm, I’m not sure if I like getting lost but I find that I do it quite often! It’s okay, I don’t mind it. I usually end up finding some great hidden spots to duck in for a drink/snack and there’s always a sense of accomplishment when I finally do find my way back. And I think that sense of accomplishment is so important when you’re traveling. It can be such a confidence booster when you get yourself un-lost all on your own! I´ve been in more than my fair share of buses that ended going in the wrong direction or the driver forgot to tell me to get off. It´s no big deal, you get out, find a place to stay and explore the place for a day. It´s often the more interesting city instead of a touristy one. I like your style, Ayngelina. Sometimes, there’s nothing you can do except just go with the flow and try to make the best out of it. There is really no such thing as travelling without anything going wrong, stuff always happens. I absolutely agree that travelling as a couple is the best relationship test there is. Especially when you get lost and both of you have different ideas where you need to go, you can get some pretty intense debates about that in the car. Getting lost by itself always brought me to some interesting destinations as well, its just part of the travel experience. The people who travel and expect everything to go according to plan are in for a rude awakening! 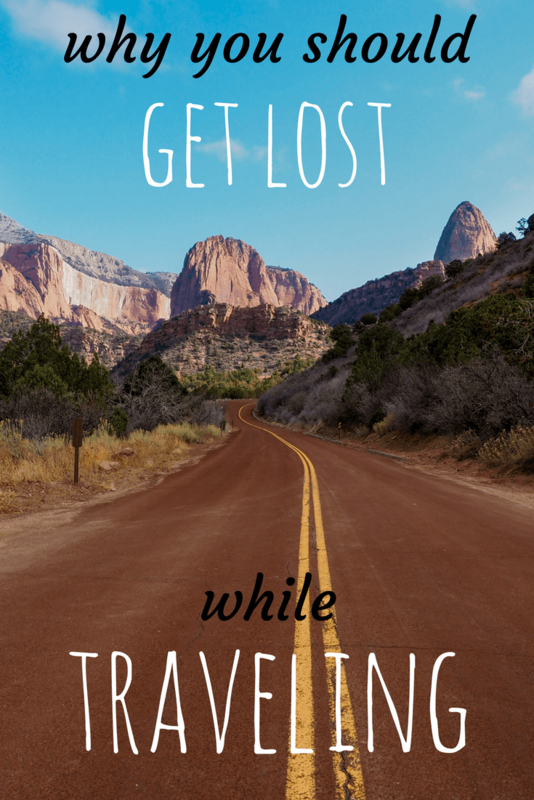 You’re right – getting lost is just part of the travel experience. These days, if you have a smart phone you can also just download a Google Maps app (or something similar) that can help find you directions right in the palm of your hand! I found this post late following your recent tweet. It’s very true that getting lost isn’t all bad, I remember getting lost in Germany the once and had a wonderful time. Although it cost me a bit of money to get back enroute. Thanks for this interesting and thoughtful post. There are some situations when getting lost leads to much better experiences and stories than if you had stayed on-course! A few years ago I was traveling alone through a remote part of France, driving a car from Spain to England. You see, I usually take the back roads and meander through the countryside. One day I realized I was completely lost and was actually driving in a vineyard! Then the road came to the farmhouse and I thought ‘oh dear, I will get a rocket now for trespassing’. Did I? Oh no I was welcomed into the house by the owner and his wife and was given a superb meal with lots of their own wine ( a delicious walnut liqueur). As it was getting late they asked me where I intended to spend the night and I said I have no idea (remember I am lost), so they insisted I spend the night at the farmhouse. Such friendly hospitable and friendly people, the French. What a great story!! It’s instances like that that give you faith in the generosity and hospitality of strangers. Sounds like a wonderful experience, and one I’m sure you’ll never forget! Some really nice insights here. 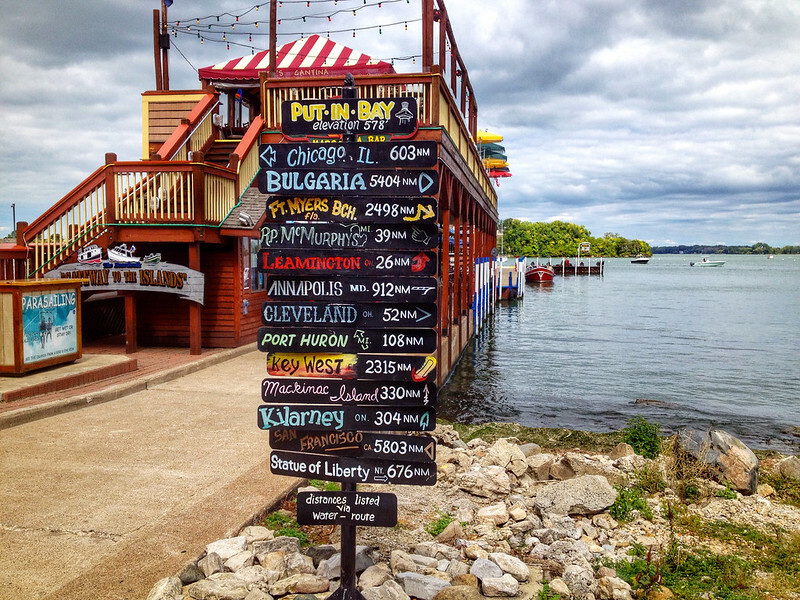 Congrats on making the “100 Reasons To Travel” list by Trip Logic – . As a fairly new blogger, I was pleased to make the list as well (# 16). I completely agree! Especially with travelling – and getting lost – with a significant other before marrying them! It’s funny because I’m one of the most stressed out, worrying sorts of people, but when I get lost abroad I’m pretty relaxed because it makes you realize that freaking out about things doesn’t help. Focusing on fixing the problem, or in appreciating the things you might not have experienced if you didn’t get lost, is the best way to deal with it. And it can be really fun! Of course, my totally zen approach to getting lost completely goes out the window if I have a train to catch. Haha. I know exactly what you mean! But yeah, I still stress sometimes if I’m on a set schedule and get lost! Just a small lost experience – getting lost in a district in Ho Chi Minh City where few foreign tourists tread – and ending up finding a very good, rather hidden, cheap garden restaurant. Yay! I would get lost by trying to discern that road sign as well! I agree, getting lost can be frustrating to all, but it does benefit the traveler to gain skills necessary for travel. I have gotten lost in Atlanta, Ga too many times to count. However, it helped me learn how to navigate the city no matter the street. Getting lost can offer many opportunities that one wouldn’t have been offered otherwise. 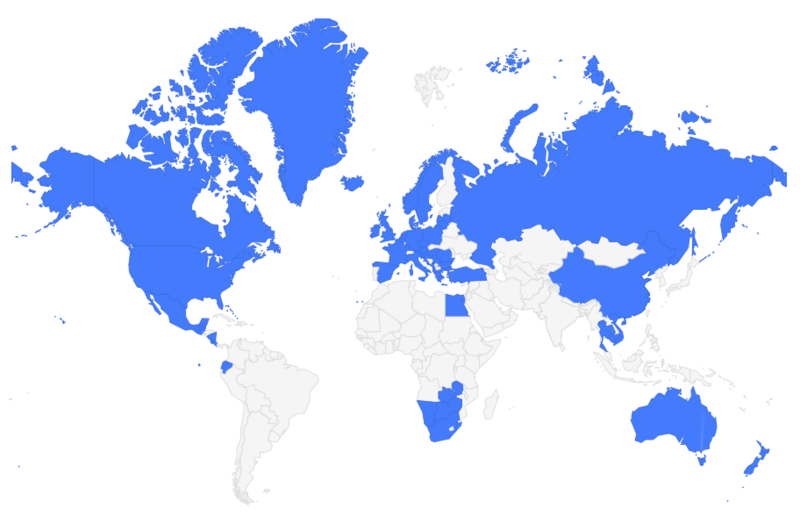 Thanks for sharing your views on traveling and good luck in the future! The best stories almost always come from those serendipitous moments that can only happen to you when your’re lost! Hi again, I love your blog! Reminds me of that time in Vienna when I was slightly tipsy after a bit of Smirnoff Ice (only 4.5% alcohol, and I didn’t feel any effects the last time I had it). Well, my sense of direction has always been abysmal anyway… I was trying to find a certain souvenir stall around the Naschmarkt area in Vienna but ended up finding the beautiful Karlskirche! Lucky you! Just more proof that getting lost can lead to some pretty cool finds. I totally agree, Michael! I mean, sure, sometimes it’s inconvenient (and it always seems to happen to me when I actually need to be somewhere at a certain time), but that’s just how travel goes! I wrote it from a point of getting lost in a safe city. I wouldn’t totally like to get lost in a dangerous place (“bad district”) or in the mountains. When me & my friends hiked in the Merbabu Mountain (popular mountain for hiking in Indonesia) the SAR team and local people were looking for a missing person. Luckily the person was found alive after few days. “But the day that I got separated from a tour group and climbed to the top of St. Peter’s on accident?” Good for you that you didn’t break the ankle and fell off outside the people’s gaze. That totally shouldn’t be the case for bragging off and suggesting people should get lost and have adventures of their own. Did you think about the consequences this did (or could do) to the people involved? Sorry, the getting lost should be controlled and you should be aware where can you LET yourself get lost. Surely, you wouldn’t like to go the wrong way, stuck in the desert-type place under scorching sun in a car without gas where passing cars are rare. Or you wouldn’t like to be lost in a jungle. Yes, getting lost in a seedy area or dangerous situation definitely would not be as fun, and I wouldn’t advise it in that case! I never refer to it as being lost, I always use the term ‘enjoying the scenic route’ as that’s what it’s all about! You are so right, missing the right turn often leads you to the best view, a new travel experience or meeting an interesting person that never would have happened otherwise! Although, discliamer, it helps if you’re not hangry! Haha, yes, definitely helps if you’re not hangry! Half the fun of travel is the aesthetic of lostness.